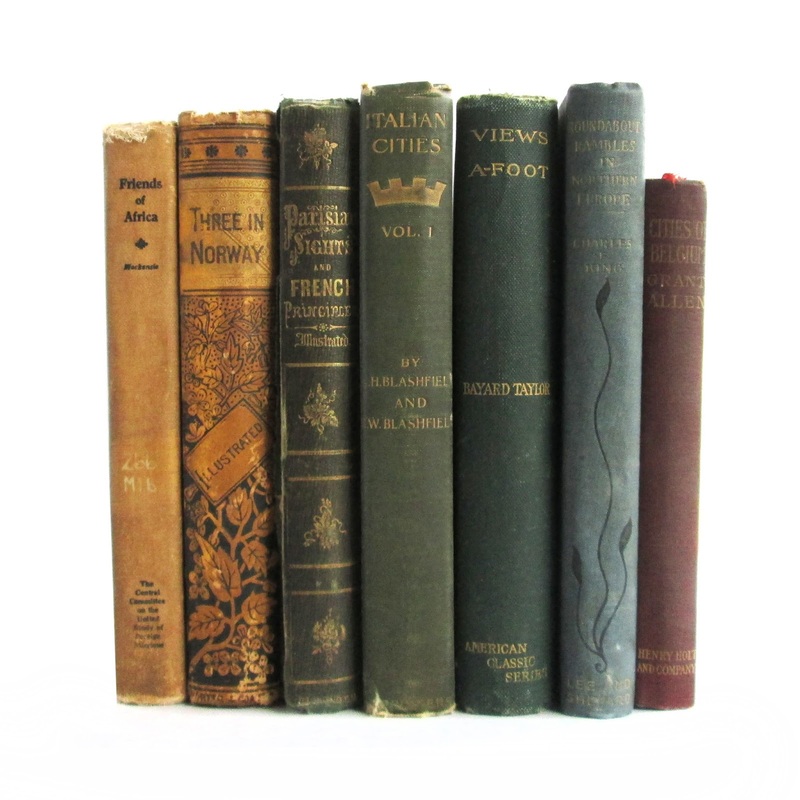 Decorative collection of fifteen antiquarian book on travel. They include subjects like Paris, Northern Europe, Africa, Scandinavia and more. 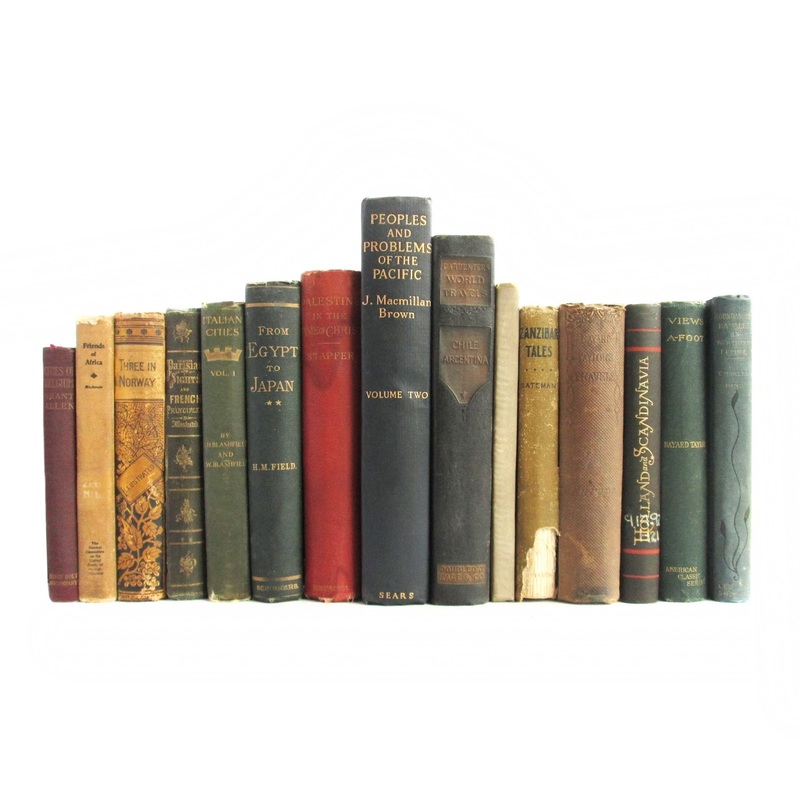 Books show some wear and soil, detailed descriptions follow. 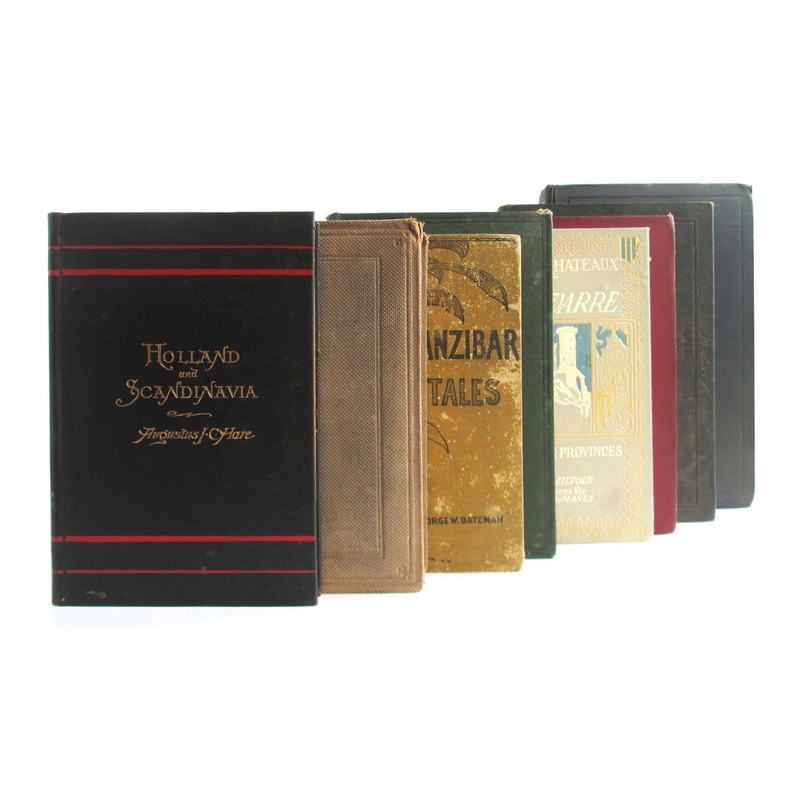 Total size of this collection is approximately 16 x 7 x 5 inches. FRIENDS OF AFRICA Mackenzie, Jean Kenyon Vermont Printing Co. 1928 Fair Hard Cover. G+/No Jacket. 5x7.5. tan with black ltg. - illus. in b/w with pictures- 250 pgs. - fold out color map of Africa in front. Spine loose from cover on back, cover woil and wear. Front hinge cracked. THE TAIL OF THE HEMISPHERE: CHILE AND ARGENTINA Carpenter, Frank G. Doubleday, Page, & Company 1923 Good Hard Cover. 6"x9". Brown book with gold raised lettering and design.296 pages with index.Many glossy black and white photo illustration pages.Fold out maps in color. Book is in good condition with dulled/rubbed gilt on the cover and spine, foxing, cover wear, and soil. VIEWS A - FOOT OR EUROPE SEEN WITH KNAPSACK AND STAFF Taylor, Bayard G. P. Putnam 1863 Fair Hard Cover. Caxton Edition, Revised. 5.5x7.5. This is a brown hardcover w/ brown lettering on the spine. The edges & spine are faded, tanned pages, wear, & cover is soiled. Owner's label on front endpaper. 506 pgs. 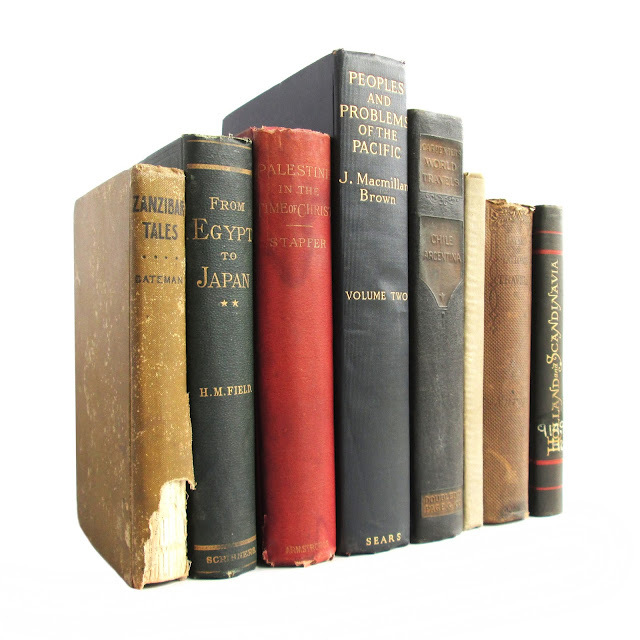 FROM EGYPT TO JAPAN Field, Henry M. Charles Scribner's Sons 1887 Fair Hard Cover. Good/No Jacket. 14th Edition. 5x8.5. A green book with gold ltg. It has 424 pgs. Book is in fair condition with damp stains to the cover, darkened spine, edgewear, and soil. Rear hinge loose. 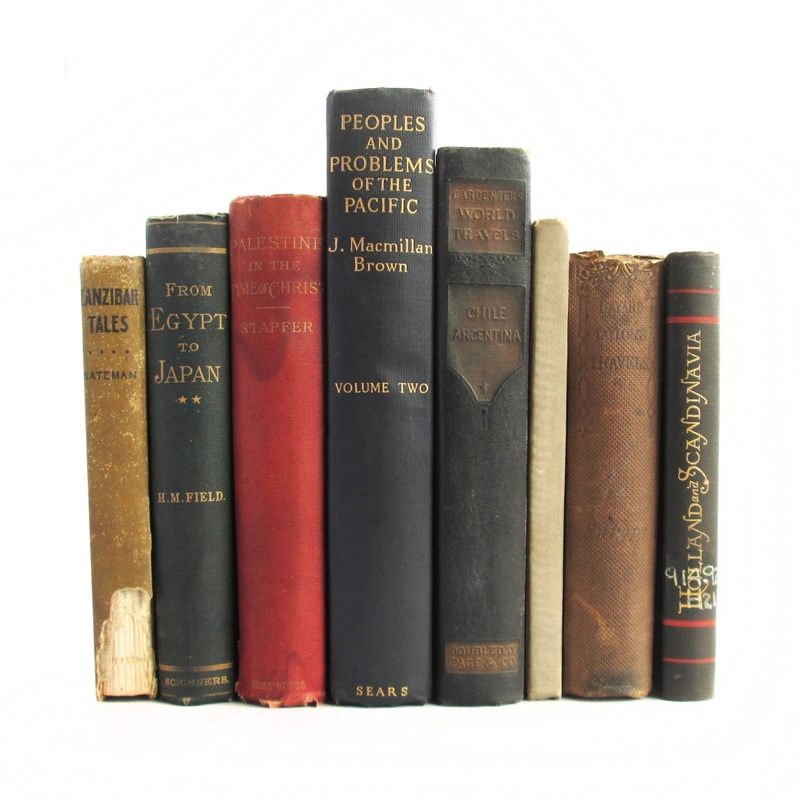 PEOPLES AND PROBLEMS OF THE PACIFIC Brown, J. MacMillan J.h. Sears and Company 1927 Good Hard Cover. . 6.5"x10". this hard cover book has a blue cover with gilt lettering on the spine of the cover. This book is about the Pacific and it's people. Volume II only. this book has 297 indexed pages. Book is in good condition with browned page ends, faded spine, wear and soil. ZANZIBAR TALES Bateman, George W. A.C. McClurg and Company 1901 Poor 5"x7.5". This hard cover book has a green cover with black lettering on the front and black lettering on the spine of the cover. There is a small rip on the title page, worn cover, browned pages, foxing, wear, soil and 1.5 inche portion missing from spine.. A book of tales told by the natives of the east coast of Africa. 224 pages. 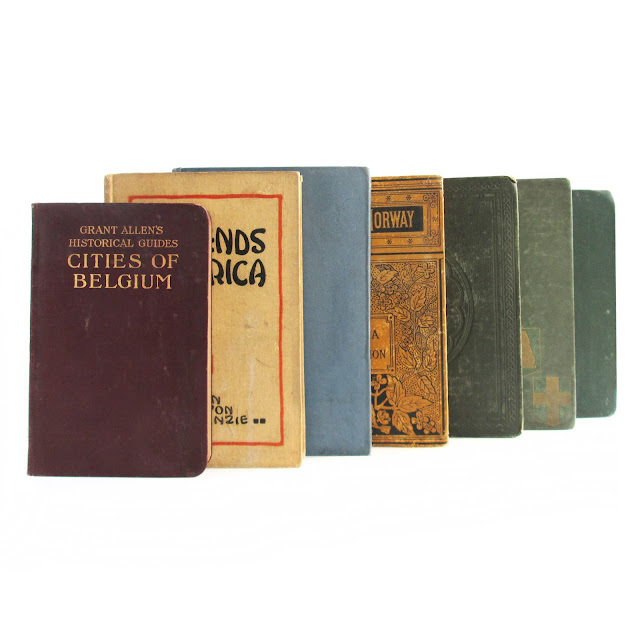 GRANT ALLEN'S HISTORICAL GUIDES: CITIES OF BELGIUM Allen, Grant Henry Holt and Company 1912 Good This antique book is bound in maroon cloth with bright gilt lettering on the cover and spine. Some cover soil; tanned pages, faded spine, wear, and soil.The book mostly looks at historical structures (churches, etc.) in Ghent, Brussels and other Belgian towns and cities. 230 pages, including index; approx. 4"x7". Palestine in the Time of Christ Stapfer, Edmond A. C. Armstrong and Son 1885 Fair This 6 x 9 hardcover has 517 pages. There is soil and stains to the front and rear covers, edgewear, front hinge cracked. It contains pull out maps. ITALIAN CITIES, VOL. 1 Blashfield, Edwin Howland; Blashfield, Evangeline Wilbour Charles Scribner's Sons 1901 Fair This antique hardcover book is bound in dark green cloth boards, with gilt lettering on the front and spine. Cover is edgeworn, with soil and fading. Top page edge gilt. Spine end worn, pulled loose from binding. Page edges browned. Bookplate on front inner board. Browning of inside pages. This volume includes descriptions of Ravenna, Siena, Florence and Parma. 296 pages; approx. 5"x7". Views A-Foot Taylor, J. Bayard David McKay 1893 Fair -or- Europe Seen with Knapsack and Staff. 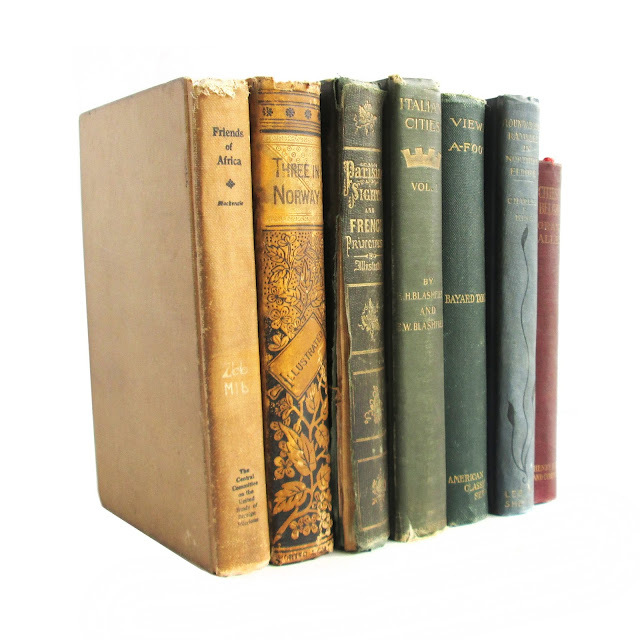 Book is in fair condition with tanned pages, cracked hinges, bookplate, cover and edgewear, and general wear and soil. 448 pages, 7.5 x 5. Sketches in Holland and Scandinavia Hare, Augustus J. C. George Routledge and Sons, Ltd 1884 Good Illustrated. Pages are clean. Ex-library book with markings. Cover has light wear. 134 pages. Three in Norway Two of Them Porter & Coates Fair Illustrated, pages are tanned. Gift inscription on front endpaper. Map is missing. Cover is worn and soiled. 341 pages. Roundabout Rambles in Northern Europe King, Charles F. Lee and Shepard Publishers 1898 Good Photo illustrations. Some staining at hinges but interior is generally clean. Cover has some soil. Mapped innerboards. 353 indexed pages. Castles & Chateaux of Old Navarre and the Basque Provinces Miltoun, Francis L. C. Page & Company 1907 Fair Several illustrations, some in color. Closed tear on frontispiece and some water stains. Cover is nicely decorated, has some wear and soil. 278 pages. Parisian Sights and French Principles Various Harper and Brothers 1852 Fair This is a look at France and Paris from an American point of view. Book is in fair condition with owner's name, foxing, corner wear, spine tear, rubbing, edgewear, weak hinges, wear and soil. 264 pages, 7.5 x 5.5.